The Foscarini Rituals Tavolo 3 is a table lamp from the designer team Ludovica & Roberto Palomba of the year 2012 and is made in Italy. 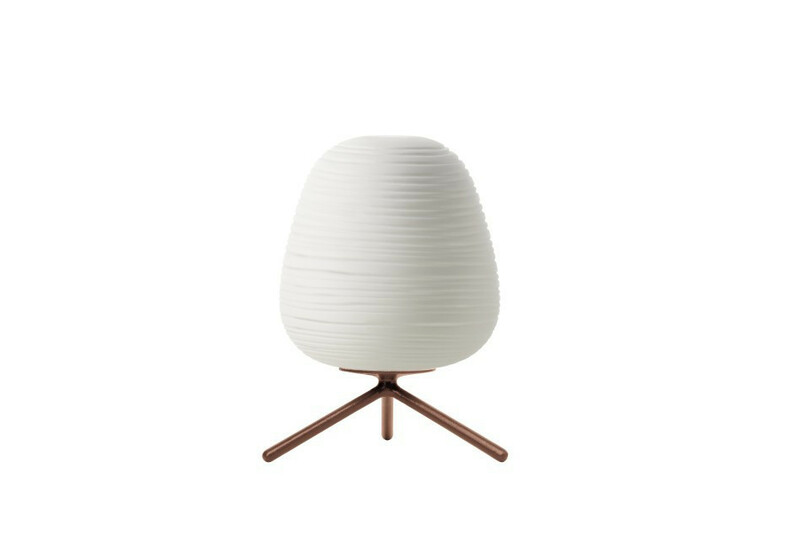 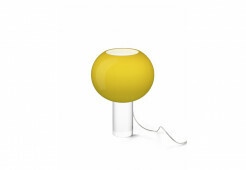 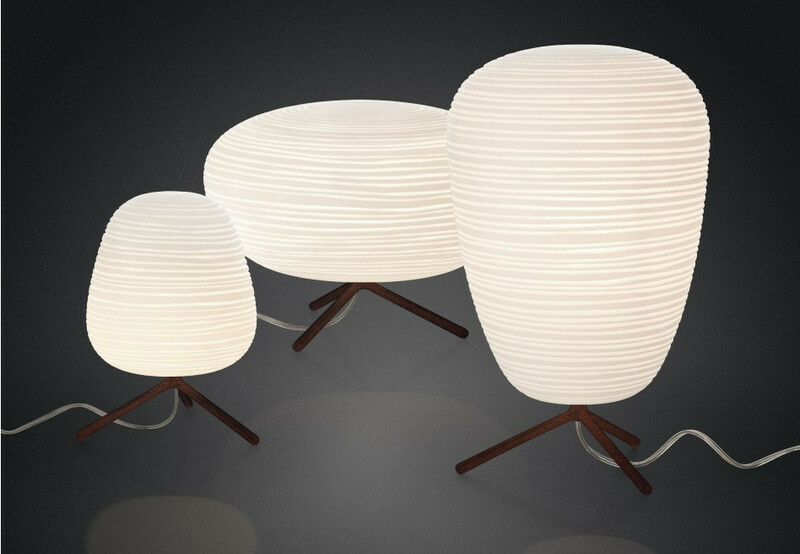 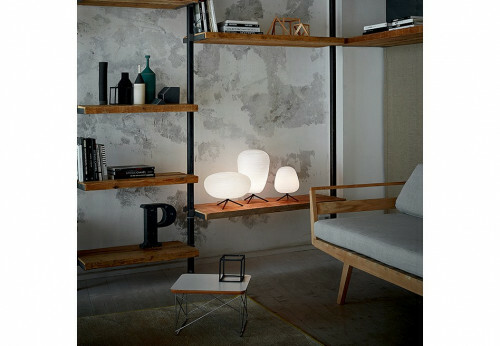 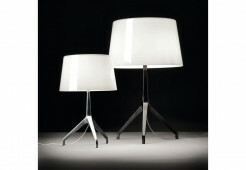 The Foscarini Rituals Tavolo 3 is a small table lamp that recalls in its ease of a lantern. 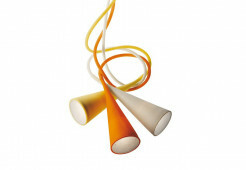 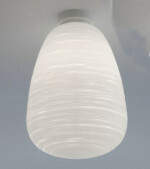 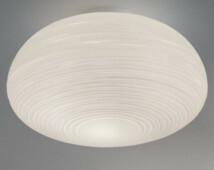 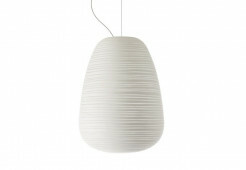 Through a complicated process gets the blown glass diffuser a unique stripe effect that is reminiscent of the Wagashi Paper oriental lanterns. 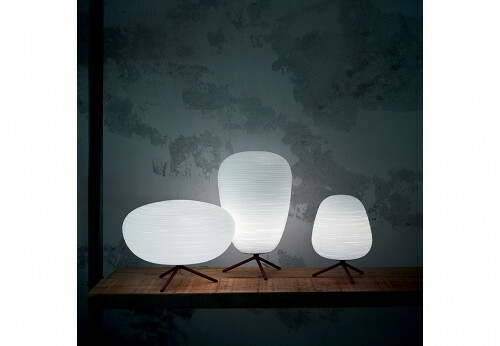 Thus the light emits a pleasant, diffused light into the room. 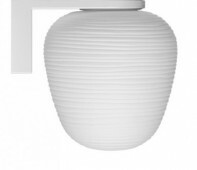 A not dimmable version and one dimmer version are offered, each usable with halogen or compact fluorescent lamps . 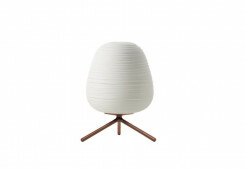 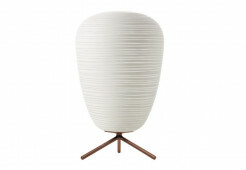 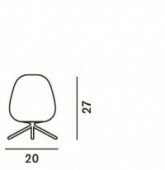 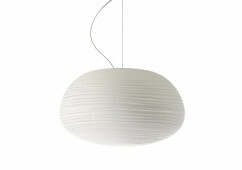 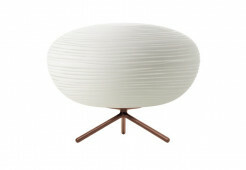 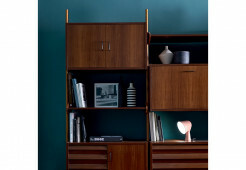 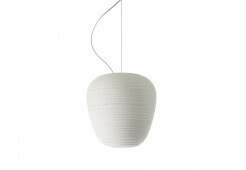 The base of Foscarini Rituals Tavolo 3 is made of painted metal and forms a good contrast to white striped diffuser. 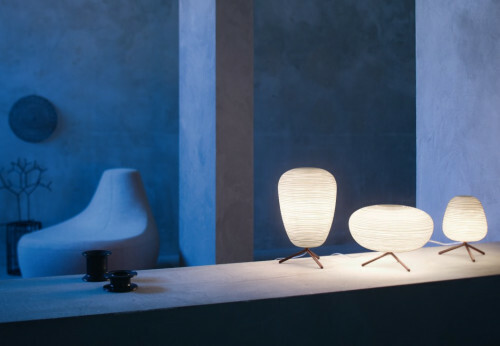 Foscarini has made the Rituals family of three more table lamps which differ in the shape of the diffuser, and four pendant lights. 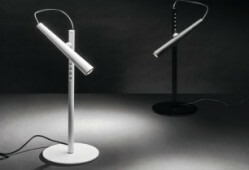 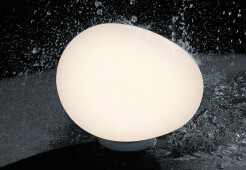 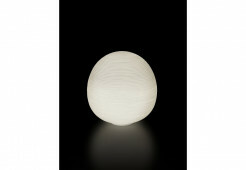 Particularly this light is effective in combination with other lamps in this series. 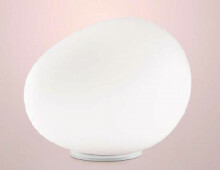 This table lamp is wider downward and is very low.